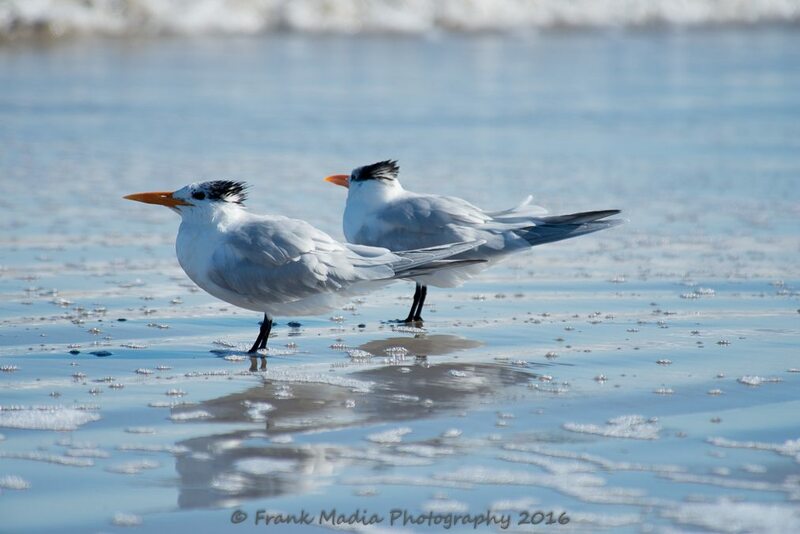 Immediately after retiring from the United States Navy Frank started a blog he named On The Road With Frank. 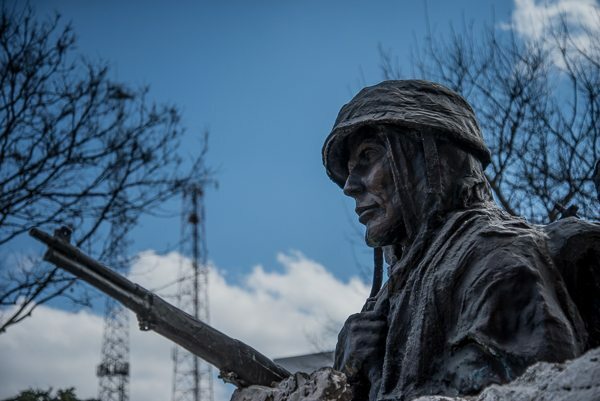 The purpose of which was to share the travel experiences he and his wife were to have as they wandered around North America in their motorhome. 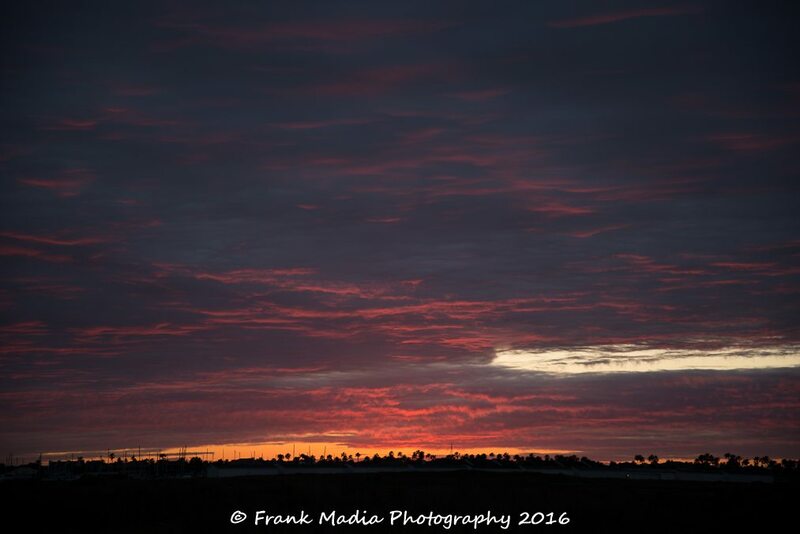 While On The Road With Frank certainly fulfilled that goal, it also provided a venue to display some of Frank's photography. 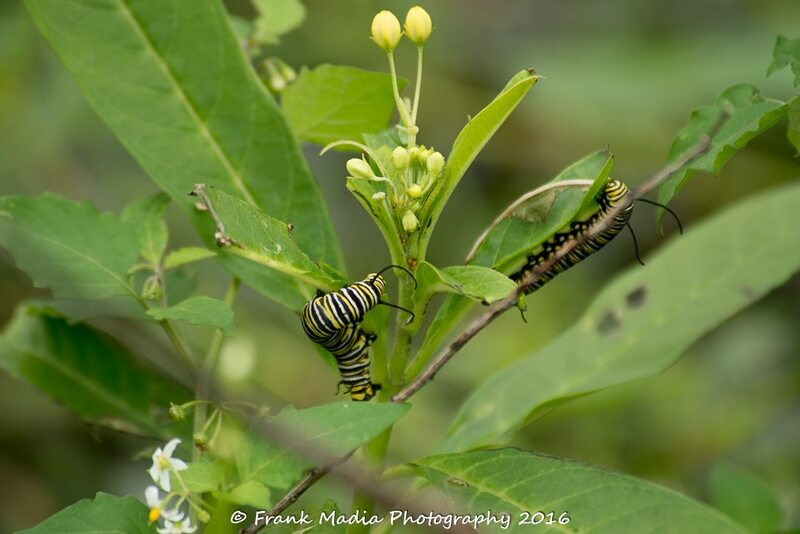 With the emergence of Frank Madia Photography, it was fitting to move the blog to FrankMadiaPhotography.com. Winter 2016 has shaped up to be quite an adventure for Connie and me. We have had a lot of fun. We made some decisions which led to updating the motorhome’s interior. We did all of this without getting a divorce. So, all in all, I would have to say it has been a good winter to date. As I hinted at the end of my last article, we spent some time on the Texas Gulf Coast. We left Kyle on December 31st and spent the next week in or near Port Aransas, Texas. We went there to met up with some wonderful birding friends from the Detroit, Michigan area, Mike and Margaret Goethe. The Goethes were visiting Texas for what seems like an annual winter vacation for them. This year they brought along another birding couple who live nearby, Ken and Heather Slayton. So, we renewed old friendships and built new ones. We had a great time birding the various wetland hotspots in the area. We even ventured inland to visit one of our favorite waste water retention pond complexes. The birding was pretty wonderful. The weather not so great. However, the trip was made special by the deepening friendship between the Goethes and us and the developing friendship between the Slaytons and us. We thoroughly enjoyed our time together with these two wonderful couples. As I mentioned, the weather was not great and that made photography a bit of a challenge. 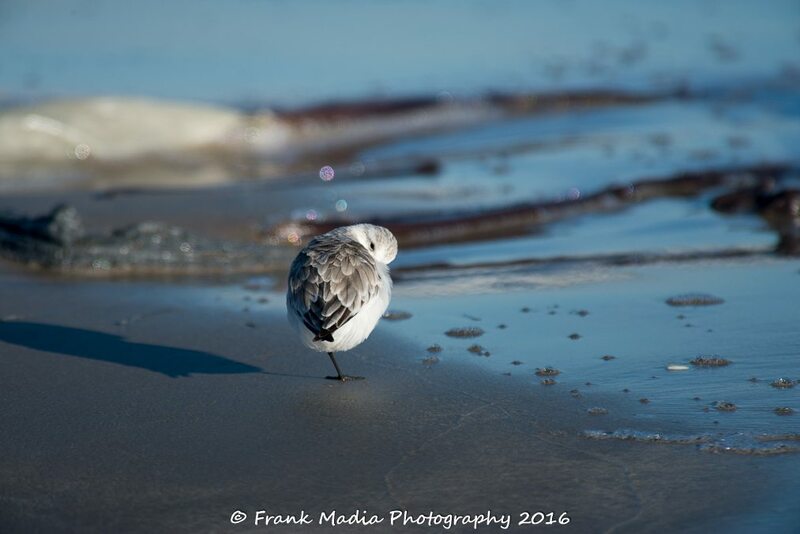 However, we did our best to get the best shots of the magnificent birds that call the Texas coastline their winter home. The local government and conservation groups helped out a good deal by constructing boardwalks that put visitors in pretty close proximity to the birds. I made over 1000 images during our visit and have spent a good bit of time since trying to decide the keepers over the also-rans. There have been some tough calls along with many no-brainers. A few examples of the keepers follow. These and a few others should show up in my portfolio elsewhere in this website. The Leonabelle Turnbull Birding Center is located on Mustang Island in the town of Port Aransas, Texas. The center has a wonderful boardwalk allowing visitors to get up close to the various birds who utilize the splendid habitat. 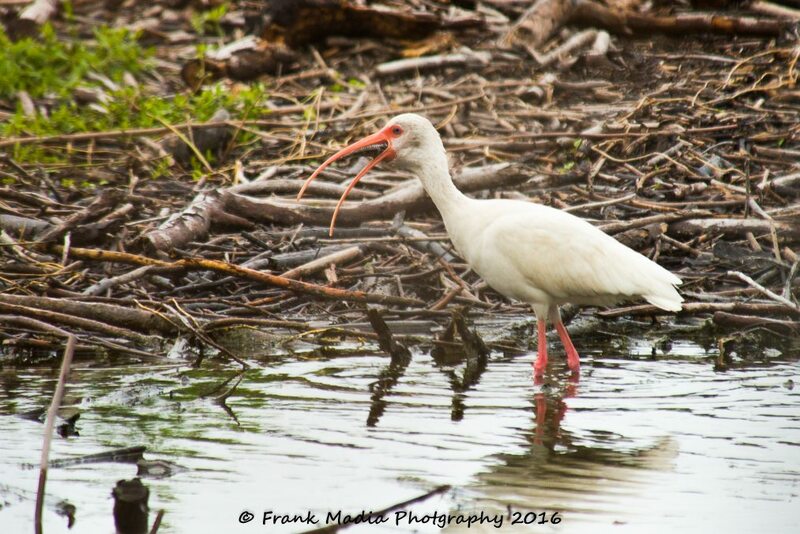 We saw Spoonbills, Great Egret, Tricolored Heron, White Ibis, Gray Catbird, Pied-billed Grebe just to name a few. 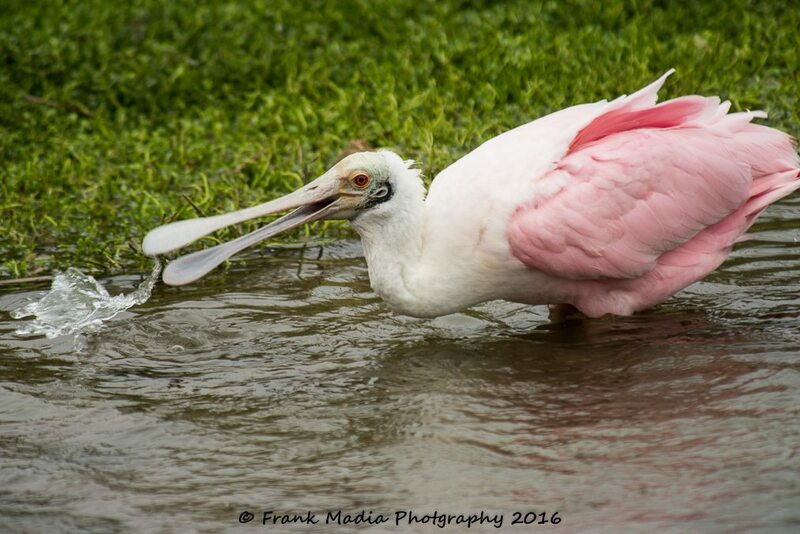 This Spoonbill was active both days we visited this site. I caught this image as the bill was pulled out of the water making it look as though he was spitting water. 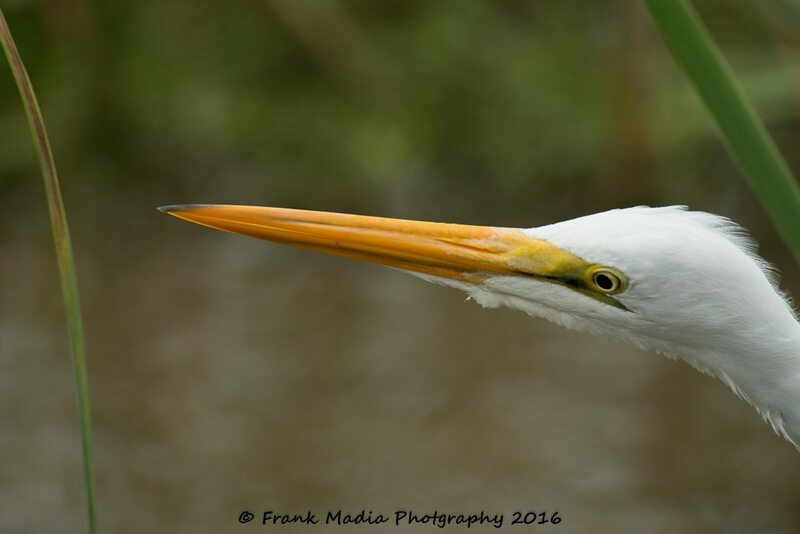 This Great Egret stayed very close to the boardwalk allowing me to get some really neat closeups. 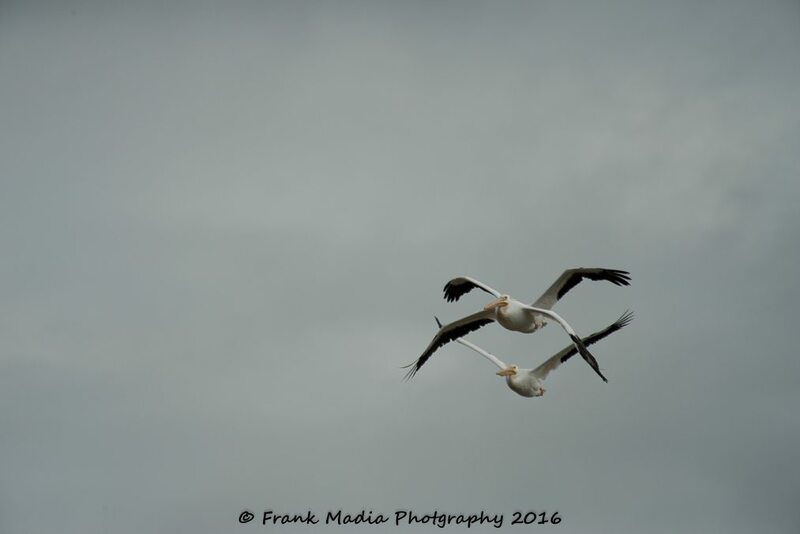 I was able to get a lot of practice at large birds in flight. Still not where I want to be, but getting better. 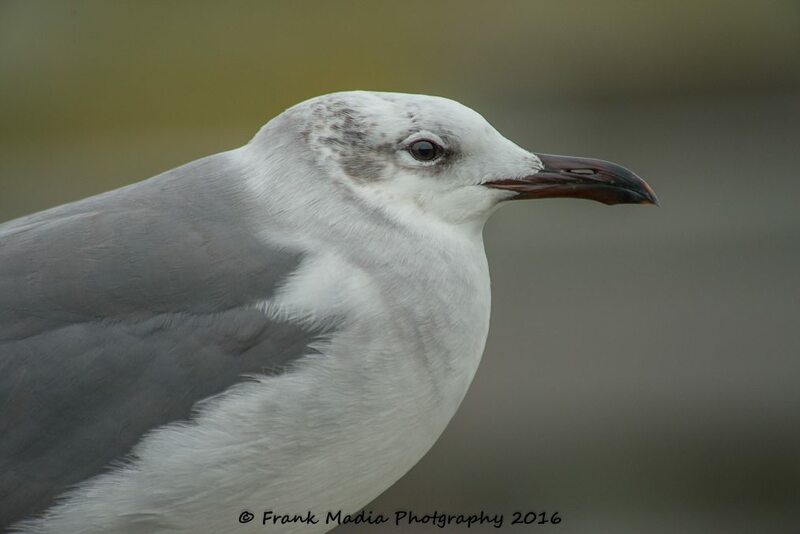 This young Franklin’s Gull landed on a rail right in front of me, then just stood there and posed. I must have made thirty or forty images of it. 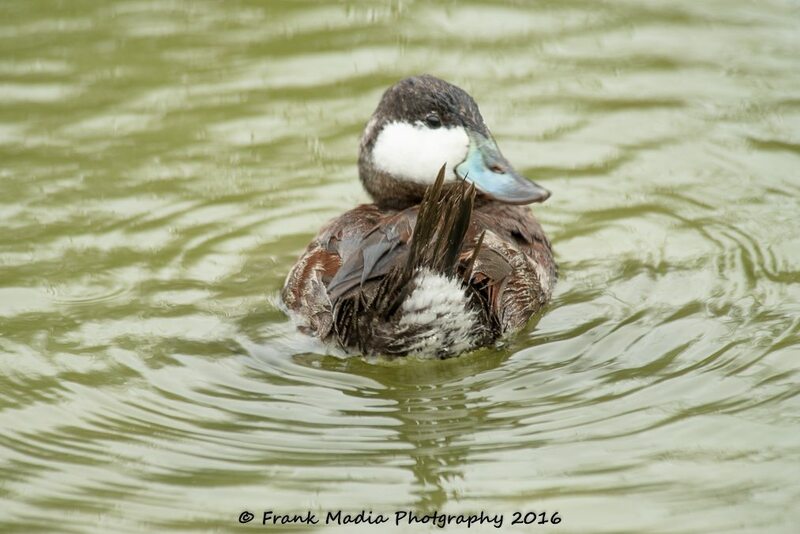 This Ruddy Duck spent a good thirty minutes bathing and grooming. He had me spellbound for a good long time. 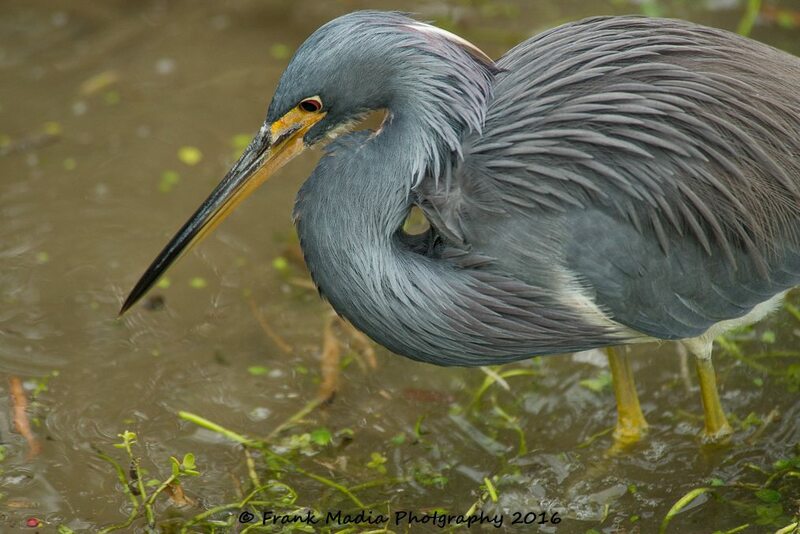 We saw this Tricolored Heron skulking in the reeds. The lighting was pretty poor, but I was able to get a few good images. 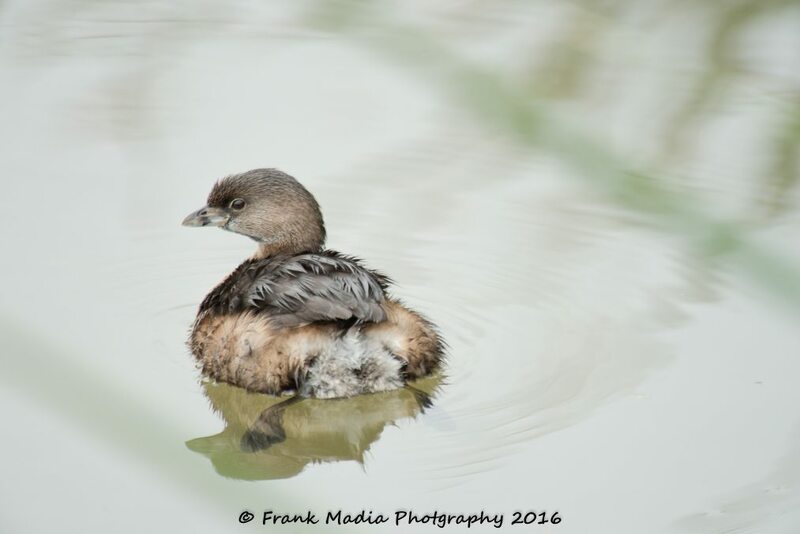 Our birding partners got some absolutely fabulous shots that I will forever envy. Part of the problem with this place is that as a photographer one has to pick where to be and try to get the best images from any given location. Meanwhile, some great things are happening in other parts of the boardwalk. There was but one grebe in the area, so I made sure it got my undivided attention for a few minutes. It was fun watching his feet in the clear water as he swam and groomed. 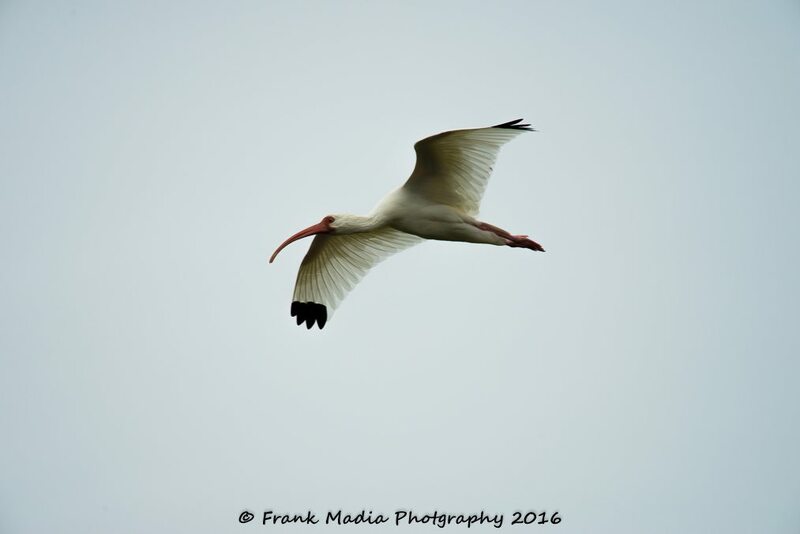 While at Port Aransas Nature Preserve at Charlie’s Pasture I was able to get some more practice at large birds in flight. 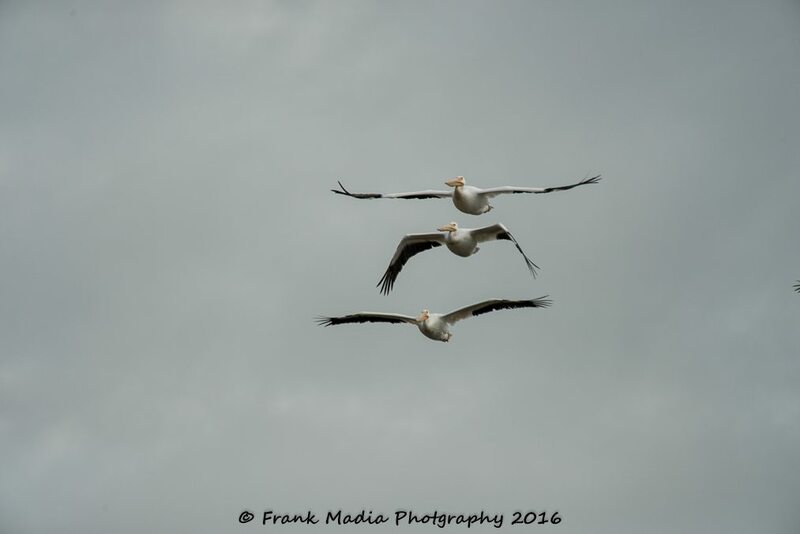 These Pelicans made it fairly easy as they not only large, but they are relatively slow flyers. One of the really fun things about shooting in bursts is that you sometimes make photographs that are somewhat unintentional but wind up looking pretty neat. So, how many Pelicans are in this image? Port Aransas Wetland Park is situated on a water treatment plant property. The park consists of trees, shrubs and water. There is a boardwalk that carves a path around the water at the edge of the vegetation. 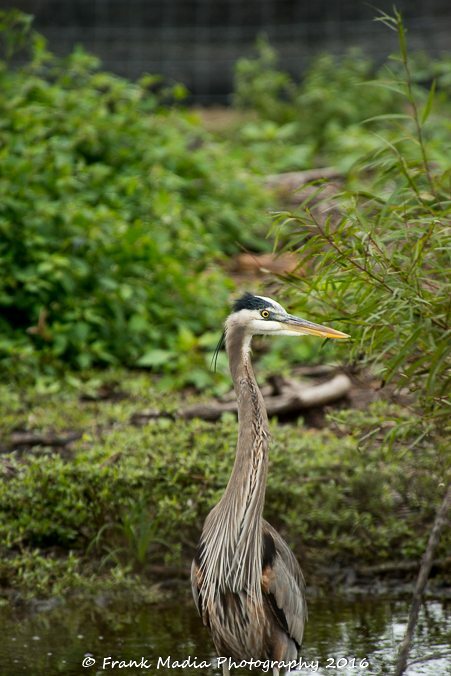 Along the boardwalk, there were many large wading birds. Some were further away than others. Their relatively large size made photographing them easier, but it was a little tough getting sharp images hand holding the long lens. When will I learn? 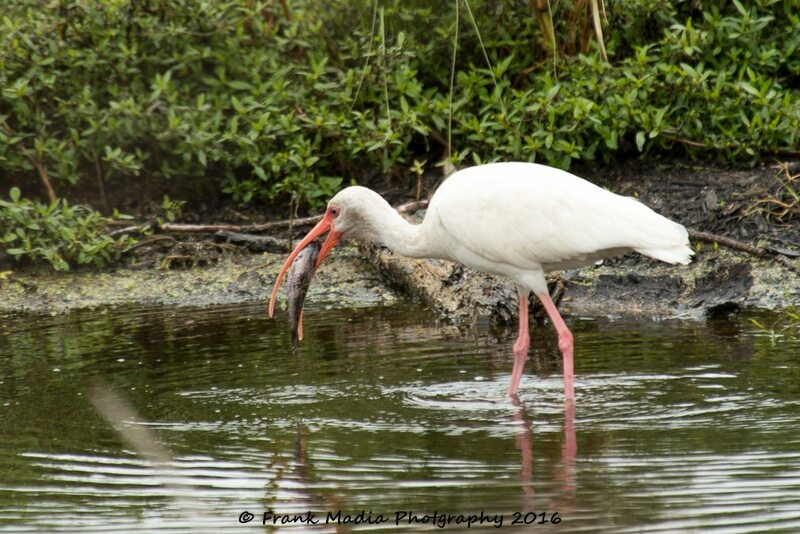 This not quite adult White Ibis got hold of a rather large fish. We watched it for several minutes trying to get it down. He made several failed attempts before what may have been a successful complete swallow. At one point he had all but the tail in before the whole thing came back out. This was one of my last shots of this bird trying to swallow the fish. If you look close you can see the where the fish was located. I gave up watching after the fish disappeared, so I don’t know if it stayed down or not. We saw other forms of wildlife while at Port Aransas Wetland Park. These two caterpillars seemed to be enjoying the park as much as we were. As our second day was coming to an end the sun had finally come out and was providing quite a show for sunset. 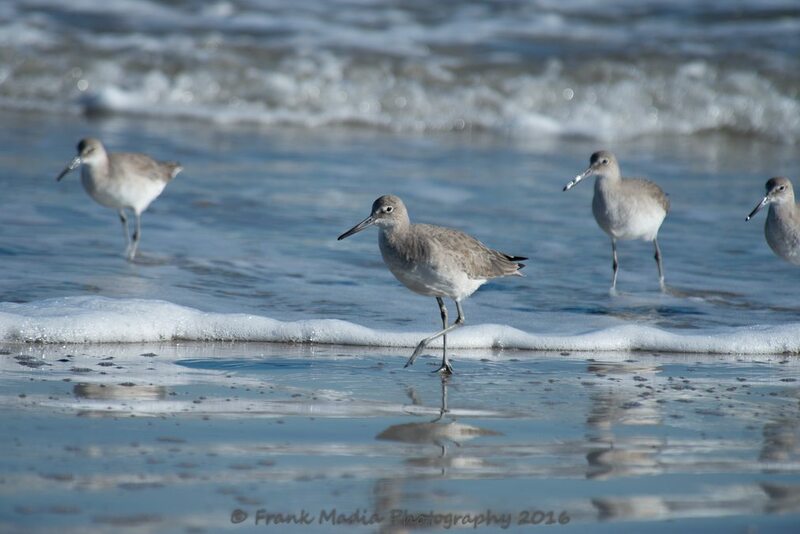 Padre Island National Seashore offers beach driving where a variety of birds can be seen. These Royal Terns seemed to be enjoying the northerly breeze. We saw several Short-billed Dowitchers during or drive along the beach. By the way, the images I publish in my blog are what I refer to as dumbed down versions of the original image file. I do that to protect myself from copyright infringement. If you find the same image in the portfolio section of this website, it too is not a full-sized image for the same reason. Images viewed on computers or mobile devices can look pretty darn good with relatively few pixels among the image. To print a clear and smooth image the more pixels in play the better. So, I load the full-sized images on my Fine Art America website so that anyone desiring a print or any of the other products offered through Fine Art America will be getting a high quality, high-resolution product. Fine Art America employs technology to limit the pixel count in the full frame image seen by the viewer. To inspect the image with all its pixels one can click on a portion of the image to see what the full resolution for that area would look like. This is a wonderful method to allow the artist to show the art without having to have some imposing watermark all over the face of the image and still not need to worry about having the work stolen. You may have also noted that I have started to add my copyright information to the images I post in my portfolio and in this blog. I am doing that on the advice of a lawyer and photographer who reviewed and critiqued my website last fall. He expressed sincere concerns that I was setting myself up to find my work in print someday without my having authorized the publication. For anyone who purchases my work via Fine Art America, there will be no copyright data line on the printed item whether it be paper, tin, canvas, plastic or a t-shirt. Okay, the shameless commercial is over. Following our week of birding Port Aransas, Connie and I returned home while the rest of the group proceeded to the Rio Grande Valley and a whole lot more birding. This was Ken and Heather’s first trip to Texas and there were a lot of birds here they had never seen before. They are excellent birders who had prepared well for the trip and new what they should be looking for and where. It was of considerable help to be along with the Goethes because Mike is not only an excellent birder, but he has an excellent memory for where he has seen birds of varying species from one year to another. Therefore, he was able to provide excellent guide service and get the Slaytons to their target birds. During the week that the other couples were down south, Connie and I should have been planning where to take them once they came to Central Texas for the last few days of their Texas adventure. However, we had already been pretty well distracted by our next project and did a pretty poor job of advance planning for the birders’ visit. 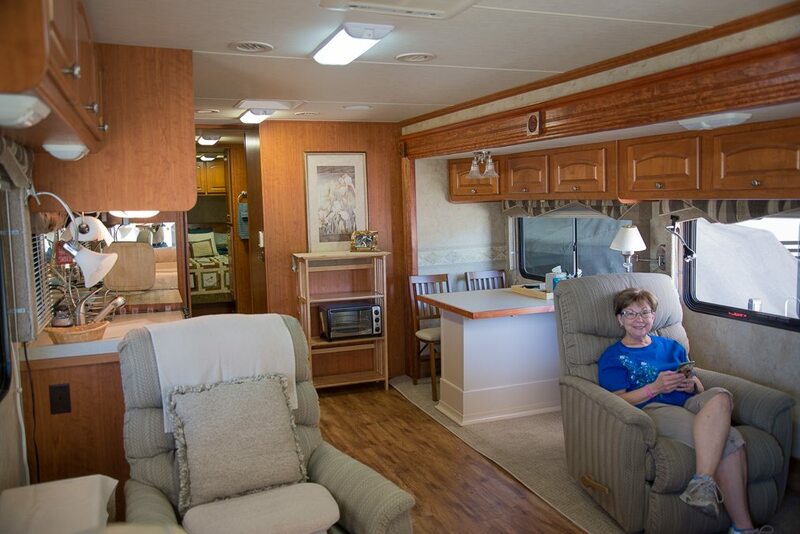 The day before we left to go to Port Aransas, Connie and I took the motorhome to a place in New Braunfels called Texas Hill Country Coach RV Service Center to get a series of estimates for work we wanted to have done. Terry Nabours, the proprietor, was very patient with us. He painstakingly estimated each individual component of what would become a major project thereby allowing us to then pick and choose what to get done while hopefully staying within budget. Initially, there were five estimates that eventually grew to seven, but I don’t want to get too far ahead of myself. Shortly after we returned from the coast Terry emailed me the estimates. 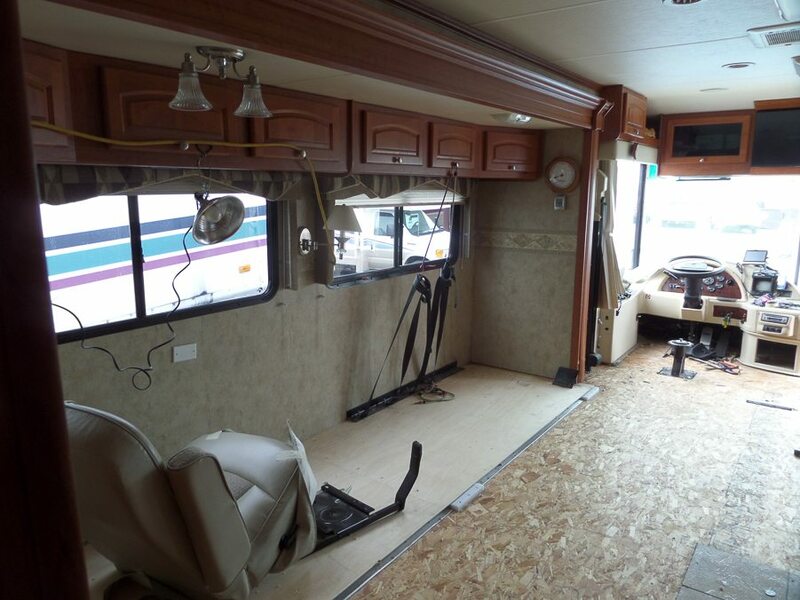 We picked four of the five original estimates and gave Terry and the gang the go ahead to commence what would become a major remodeling and updating of the motorhome’s interior living area. We chose to replace the existing carpet and vinyl that had been in the living, dining, kitchen and bath areas with vinyl planks that have the look and feel of wood. 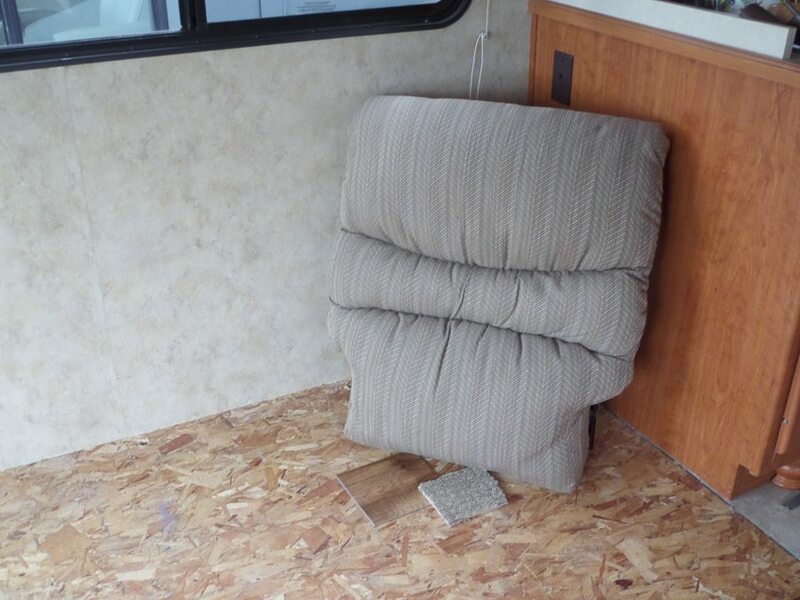 Our first compromise came when we came to the realization that the living room slide out was constructed such that it has to be carpeted in order to hide large Teflon wedges that guide the slide’s floor up and over the fixed floor when the slideout room is pulled into the coach. Newer designs have eliminated the need for these wedges, but a redesign of the slide assembly was not within the budget. So, for the slideout, we opted for a new carpet that matches the new flooring and the walls much better than the old carpet had. The second part of the project was to remove the sofa, the loveseat, and the dinette and install the two recliners we originally bought for our house, but we later found didn’t match the decorum. I wanted the dinette removed because it has always been a real pain. It takes up too much floor space and it is impossible to get four adults around the table. When you do squeeze four around, with legs hanging into the walkway, there isn’t enough room to put dishes to eat from, much less serving dishes on the tiny table. So, we had them scrap the bench seats and build a base for the table that would double as a storage area for most of the stuff we had stored below the bench seats. When we saw how little leg room we were left with because of the storage base, we had them construct a new table top that affords us the opportunity to be more comfortable at the table. That was growth item one. An added bonus to the larger table is that Connie and I should both be able to use it as a desk at the same time. For those who don’t remember, or have not been reading this blog long enough to know, we bought this motorhome new and from the beginning we had a problem with a leak associated with the slideout room. We had taken it back to the original dealer who was unable to find the problem. We took it to another dealer who had a major collision shop and they too were unable to find the leak. I eventually found and repaired the leak myself. However, before I was able to figure it out some of the particle board covered in wood-print paper got wet and pretty well exploded as it expanded. We had been able to hide it with a box of maps, but we wanted it fixed. So, we had all the facia around the slideout replaced with real wood. Finally, we asked Terry to price out replacing the microwave oven. I would buy the replacement if they would install it. This last job is something that is within my wheelhouse. However, by this time I had suffered an injury to my right rotator cuff and I was certain I could not wrestle with a microwave oven that was over my head. It would be worth a good bit to have the pros do it. The sixth phase of the project was also growth work. When I was in the Navy and assigned to ships that were in overhaul we all hated to hear the shipyard managers tell us that there would be growth work due to some unexpected finding. Growth always means more money and more time. In this case, it would mean exactly that. While removing the old carpet the flooring folks uncovered some wet and rotting plywood. A search for the source of the leak was started. As it turned out, there is a seal across the roof where the fiberglass front cap attaches to the rest of the coach. That seam is sealed with a self-leveling sealant that comes in tubes similar to caulking. As the sealant is pushed out of the tube it flows into any cracks and crevices making for a good water tight seal. Ultraviolet radiation from the sun eventually deteriorates the sealant making it hard and brittle. As the coach flexes going down the road and with expansion and contraction due to temperature changes, cracks eventually form allowing seepage of water. I have been pretty good about performing roof inspections, but apparently I didn’t recognize the a seemingly small surface crack in the sealant that became a real leak. So, estimate number six not only replaced the rotting wood but also caused all the old sealant all over the roof to be removed and replaced. I forgot to mention that the sealant cannot be put over existing sealant. The old stuff has to be removed by heating with heat guns and scraping off with plastic putty knives and the residue removed with a solvent. This is no simple task. I had done a portion of the roof before and I was fully aware of the effort involved to remove this stuff. I didn’t even flinch when I saw the estimate. I did, however, begin to worry as we were now right at the edge of the available funds to complete the job. We could have no more growth! Fortunately, we didn’t have any more growth and we didn’t have to go into debt in order to get the motorhome back to Kyle. 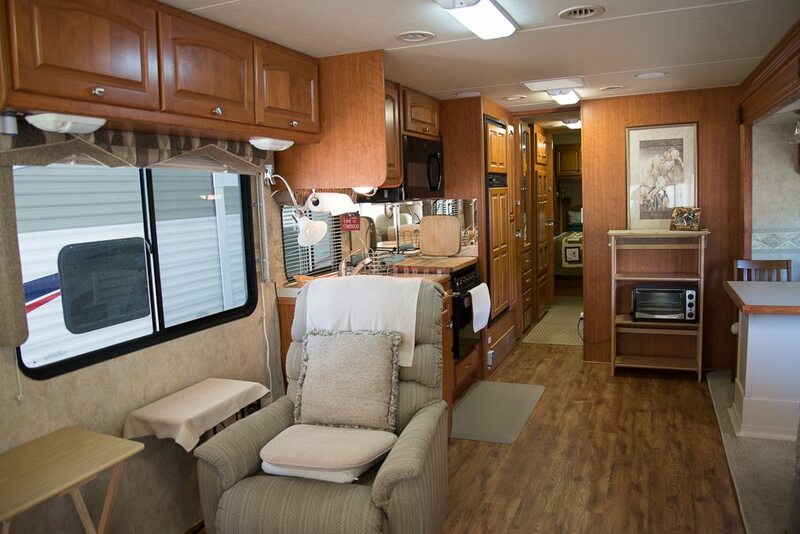 I have included some before and after photos of the living area of the motorhome. I apologize for the poor quality of the before image. It is a scan of a full color photocopied image that we had in lieu of a real brochure. Terry and company were so efficient that we failed to get any photos of what the interior looked like before they started removing stuff. What really looked neat was when they had all the old furnishings out including the driver and passenger seats. Man, it looked like a gymnasium in there. Alas, we had to put those seats back in. Can’t drive standing up, don’t you know. This image was scanned from a sales brochure of our motorhome model. The upholstery is not identical to what we had, but the layout is exactly as our was before we remodeled. After the old furniture was removed as well as the flooring, this is how it looked. Note, there is no driver’s seat in the front. It is resting on the floor at the lower left of this image. The Teflon blocks that can be seen at the seam between the particle board and the plywood floor of the slideout are the reason we could not put planking on the slideout floor. A little different view. This was taken from the front looking back. We took a back cushion from one of the recliners down to the shop to see how it would look against the walls. We also had matched it to the new carpet and to the vinyl planks which were to be installed. Small samples of the carpet and vinyl can be seen in this image. We were feeling pretty good about our choices by this time. 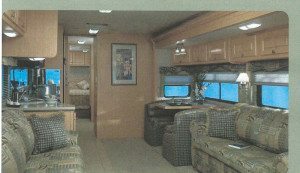 So, without further torture, here are a few images depicting the newly appointed interior of our motorhome. From just inside the entrance door looking towards the rear of the coach. It is easy to see how much more open the living room has become. While we are traveling the recliner that sits on the vinyl flooring will be lashed to the floor via a tiedown system I designed and installed. The two primary requirements for the design were that it has to be easy to work and it obviously has to keep the chair from independent operations. The recliner on the carpeted side will only get underway during a rollover at which time we would have much more to worry about. From this angle, it is easy to see just how much room we gained. We are really quite satisfied with how the dining room table turned out. The foot room is a little cramped, but in order to have sufficient width to the pedestal to make it worthwhile, we had to make a little sacrifice. I would also note, that with the old configuration Connie and I always had to be careful where our feet were so we didn’t step on one another. We could have made the table a little wider to alleviate some of this issue, but that would have caused us to have to move the entire set forward thereby impeding on the second recliner’s space and worse, moving the table and the chair from the permanently installed lights. The dining room chairs are actually folding chairs. We bought four of them. We will keep two in the basement covered when not in use. The new bedroom television. We not only lost a lot of weight with this installation, we also gained some storage area as the cavity behind the television goes all the way to the exterior wall. Finally, the new microwave. Not a very exciting photograph. However, the new machine has features which should preclude a repeat of the problem we encountered with the original unit. 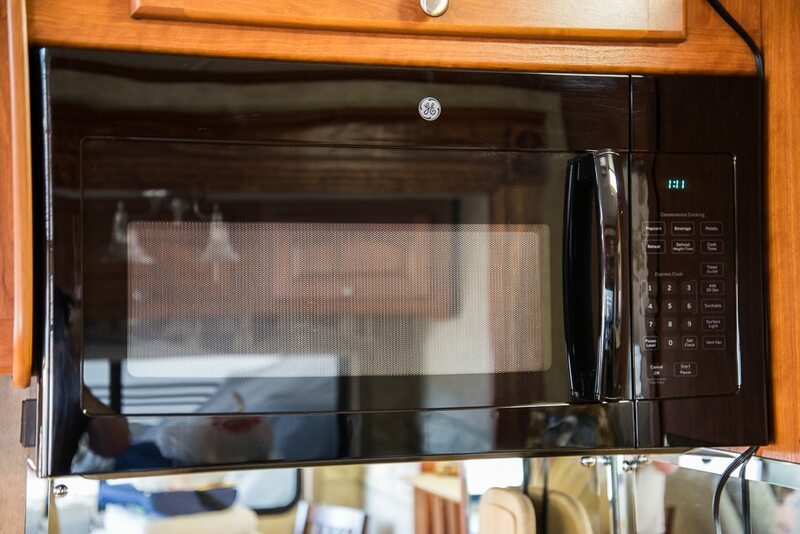 Microwave ovens have several critically mounted safety switches that are necessary to prevent the machine from running with the door open, or even just not completely latched. These safety devices are provided to keep the operator safe from damaging microwaves. The more mechanical components there are to a microwave oven, the more safety switches. Our old unit was about as mechanical as it could be. Therefore, there were a bunch of switches. Over time and many miles of rough roads one or more of those switches no longer perfectly aligned with its mechanical counterpart. The result was we were never quite sure if the oven would work. The workarounds we employed would make any safety manager quiver in his sleep. Connie was fed up. I was threatened. I attempted to determine which switch or switches were misaligned with temporary relief as my reward. Connie remained dissatisfied. I remained threatened. Therefore, a new microwave with what appears to be only one safety switch required for mechanical reasons was purchased and installed. As you can see, it was a perfect fit. While the early phases of this major winter project were in motion, we had the privilege to host the Goethes and Slaytons for the final few days of their visit to Texas. Our home is a two bedroom with an office. The second bedroom has two twin murphy beds making it ideal for two short stay visitors. We would be hosting four visitors. That means things were about to get crowded around here. We also own two twin sized inflatable mattresses. We deployed the inflatables in the office after removing the desk chairs and any other dangerous items that could attack the unsuspecting in the middle of the night. While I was somewhat skeptical as to how this would work, Connie convinced me that the choices were not all that numerous and that I needed to go with the flow. Well, the Slaytons didn’t seem to mind camping in the office even a little bit, except we failed to provide blankets the first night. The four of them got along quite well sharing the second bathroom, so all in all, it was a successful event. By the time the mighty birding foursome got to Kyle they had pretty well filled the target species list they had come to Texas to pursue. That took a good bit of pressure off their ill-prepared hosts, because as mentioned above we had not put much time into planning any birding activities around the visit. We did put together some easy mornings to let the group start the transition back towards the routine of their respective homes. We spent one morning walking around the retention ponds in our community. I forget the species count, but I can report that we saw more birds that morning than I can remember ever seeing in the area before. We took the group over to Wimberly on another morning and spent the early part of the day birding in a county held piece of property. That was a lot of fun, but apparently it is better to bird there in the spring and summer. We were low on birds, but the walk was a lot of fun. We picnicked on the property and then went into Wimberly for afternoon shopping. While the target species list had been satisfied, the group was closing in on 200 species for the trip and we were amazed to learn that they hadn’t gotten a few of the regulars around here. So, we spent a bit of time trying to find ravens and crows, of all things. They wound up getting on the plane just a few shy of that unintended goal of 200 species. A successful two plus weeks for sure. 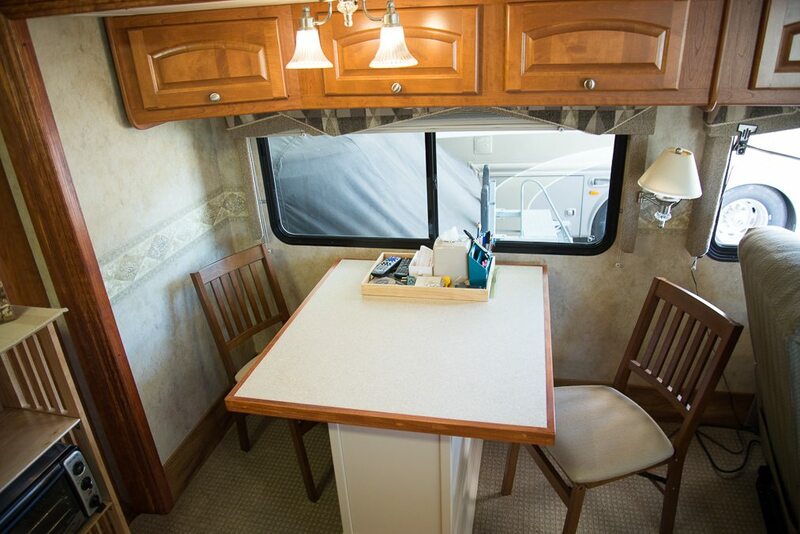 Since getting the motorhome back into the storage lot, we have been systematically going through it doing some very much needed deep cleaning and rearranging of storage areas. It has been amazing to realize how much storage space we have been able to recover by removing things that we felt we needed as full timers that we have not used in years. Of course, Connie has not let me get rid of all those things just yet. You know, you just don’t know for sure that we won’t need the whatever. So, now our garage has a few things in the rafters awaiting future decisions. 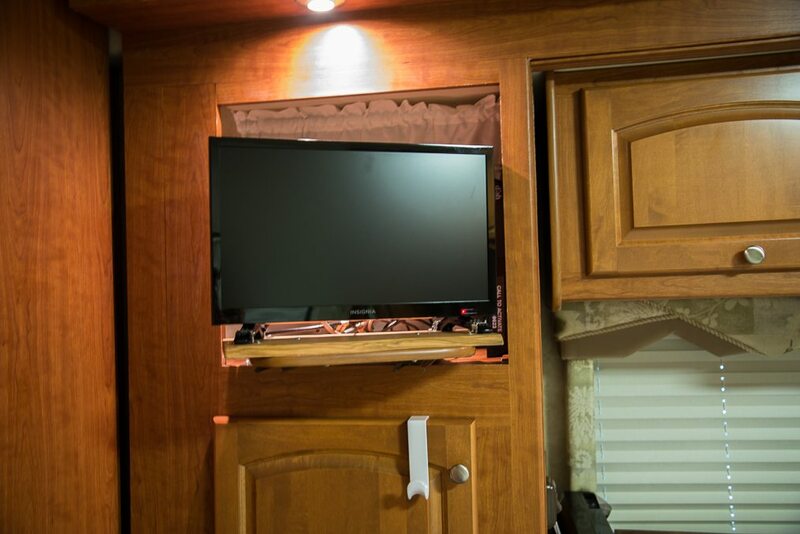 The next major project was to complete the transition for DirecTV to Dish TV in the motorhome. We purchased a carryout satellite antenna that gets Dish HD and a receiver that goes well with the antenna. I failed to do the complete research on the new receiver to ensure that I would be able to route the output of the receiver through our switching station that ports the signal to one of three possible locations. As it turns out, HD television has been around long enough now that satellite receivers no longer have coax connections on the output side. So, in order to have TV in the living room and the bedroom, we will need a second receiver. A second receiver also means a second incoming cable from the antenna. That means I will have to pull some cables. I have a plan. I have most of the parts I need to accomplish the plan. Now, I am looking for the time to get it done. On a side note, I had hoped I could go backward from digital to analog thereby allowing me to use my switch box and to avoid replacing my bedroom television for another year or two. As a really nice geek at one of the local electronics stores told me, you can probably find something via the internet that is super cheap and won’t work, or something that you know will work, but will cost more than the project is worth. As I had been unable to sleep the night before, I had already done that internet search between about 1:00 and 4:30 AM and had pretty much reached the same conclusion. My trip to the electronics store was more for collaboration than anything else. If you are wondering why we changed providers in the first place, I will share. First, every year when I restarted DirecTV there was a rate increase. Second, even though I was getting stations from New York and Los Angeles that were broadcast in HD, Direct told me that I could not get the local channels in Montana (the market you have to get while in Yellowstone National Park) because they are HD only. Dish made us an offer that we just could not refuse. In fact, it was such a great offer we also dumped Time Warner Cable as our television provider at home and put Dish on the house as well. Now, I only have to deal with one company for television and I will be able to get the locals wherever we are as we wander to and from Yellowstone. Author’s note: It has taken me so long to get this article completed that I have already completed the satellite TV project. We now have two digital televisions, two digital receivers, and the necessary cabling to support all. It has all been installed, secured for travel and tested. Finally, winter 2016 has been very good to us regarding getting to know the area better. There is a local small business that does van tours to various places within an hour or two from Kyle. The name of the company is Vantasy Tours. It is a one-person operation using one of those twelve passenger Mercedes Benz vans. The van is so big you can stand upright in it. It is super comfortable and well driven by Georgia. I have started to lose track of the different places we have gone, but the following images were all made on some of those trips. I hope you enjoy them as much as I enjoyed making them. 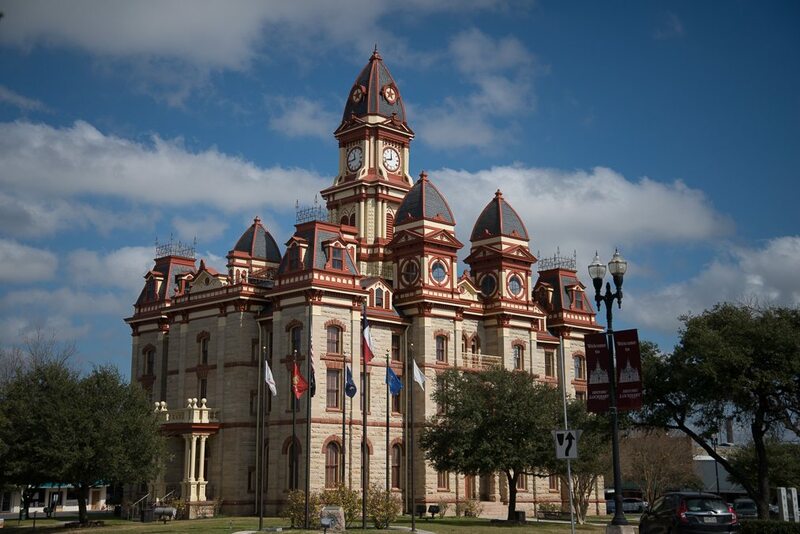 We took a Vantasy Tour to Lockhart, TX for a walking tour of the downtown area to view and be told about the various movies and commercials that were filmed there. It was a beautiful day and I was able to get some pretty stunning shots of the courthouse and other buildings. This is the Caldwell County Courthouse. Lockhart has been used in many television commercials and movies over the years. 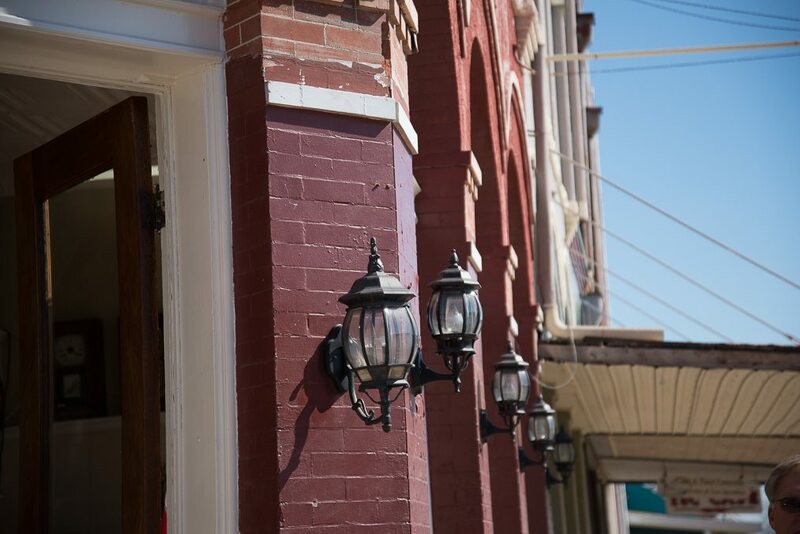 As a result of the strong economic impact, the city is resolved to keep its small town charm and to properly maintain the old storefronts making it an attractive place for more productions. This building is now a museum, but over the years, it has had several tenant types. It was built in 1898 and named The Brock Building. 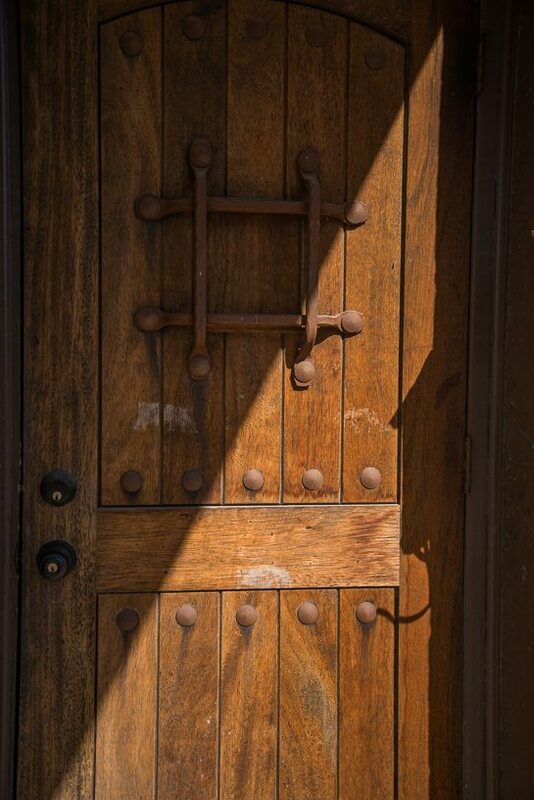 I was fascinated by this old wooden door. It just begged to be photographed. Unfortunately, someone had at some point taped a sign to it and the tape residue persists. 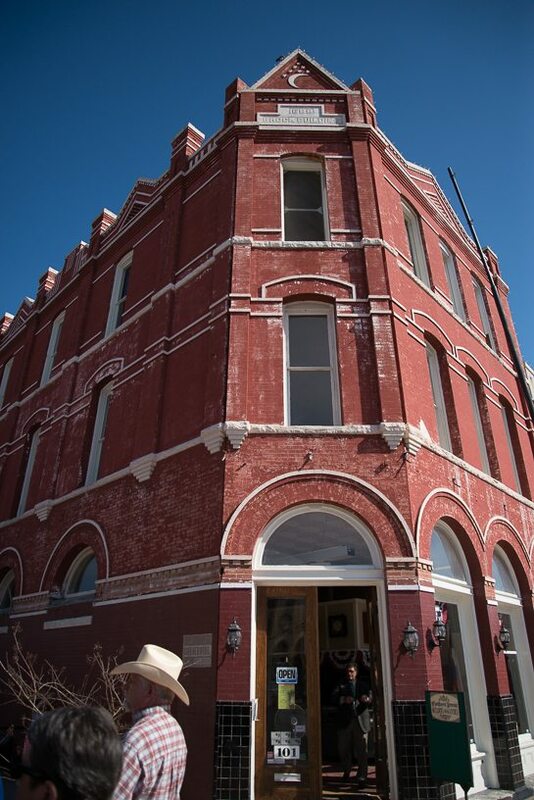 There have been nearly 100 movies, television shows and commercials filmed in Lockhart, Texas. Among them were: “From Dusk to Dawn” 2015, “The Green Ghost” 2015, “Somebody’s Gotta Do It” 2015, “Lost in the Sun” 2015, “The Leftovers” Season 2 2015 and “Lost in the Sun” 2014. We had a wonderful time and a great lunch following the guided tour. The tour guide was a local woman who has appeared as an extra in many of the productions filmed there. 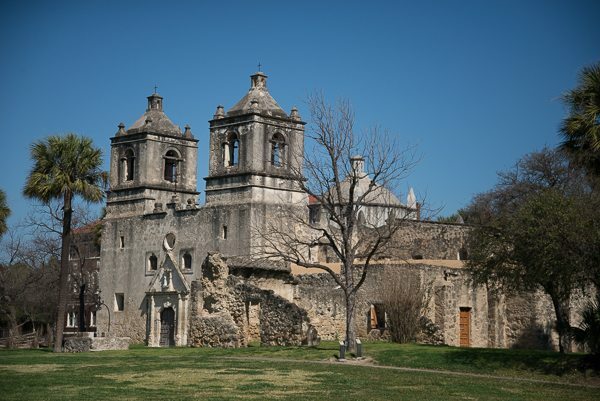 On another of the Vantasy tours, we visited San Antonia, Texas. 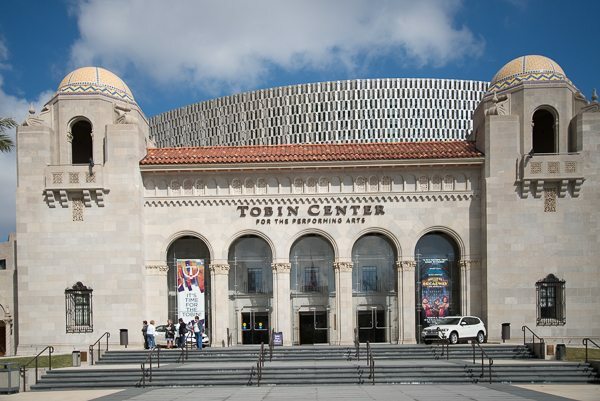 Our first stop was the newly “remodeled” Tobin Center For The Performing Arts. 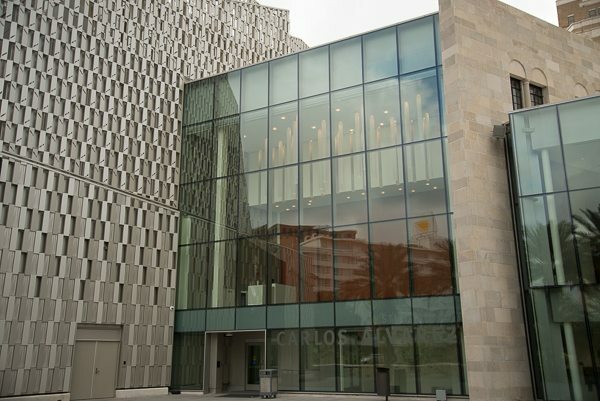 This is the main entrance to the center. This facade is all that remains of the original building. Quite a remodeling job, for sure. This image was made on what must have been the west side of the building. It is a very modern structure now. 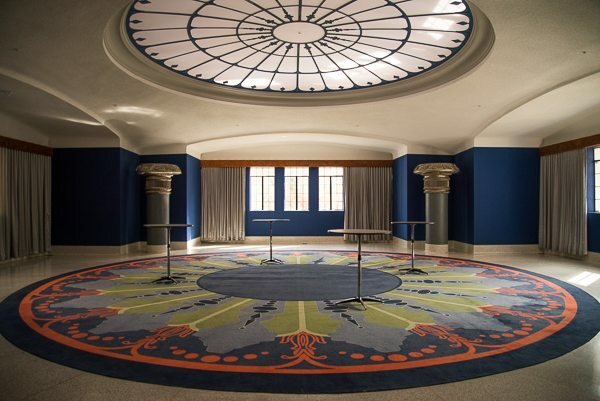 This is a waiting lounge where people gather prior to doors opening to the main auditorium. 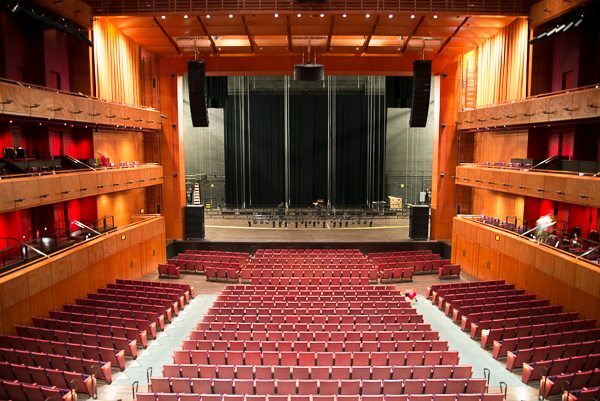 It is also used for smaller, more intimate performances. This is the lobby from the second floor. It is quite grand. 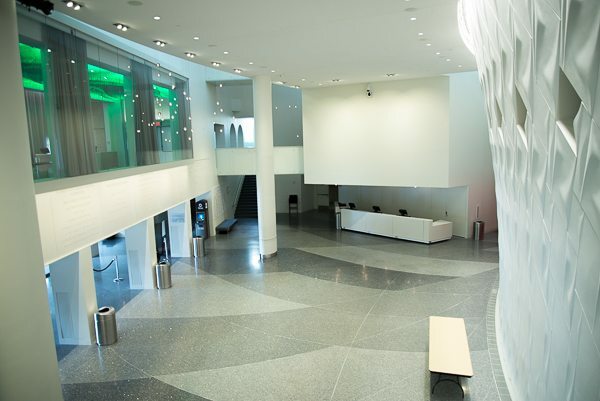 The windows on the second level to the left of this image front the Founders Lounge where those people, companies and foundations who have contributed to the center can enjoy one another’s company over a cocktail and snacks prior to performances. This is the main auditorium. I forget how many it seats, but it is a bunch. Along the sides are the boxes for the founders. The seating area is designed to allow for conversion from a sloped auditorium to a flat surface for different sorts of events. 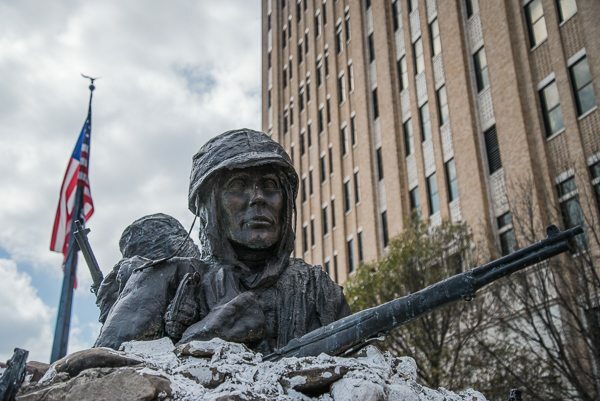 Across the street from the Tobin Center stands a Korean War Memorial. I could not help but make a few photographs. Following a wonderful lunch at a grand hotel in downtown San Antonio, we ventured out to Mission Concepcion, one of the many missions that dot the landscape in Texas. We spent about an hour wandering through the grounds. The light was wonderful for making some good photographs. While mostly in ruins, the National Park Service has done a splendid job of preserving what remains of the Mission. 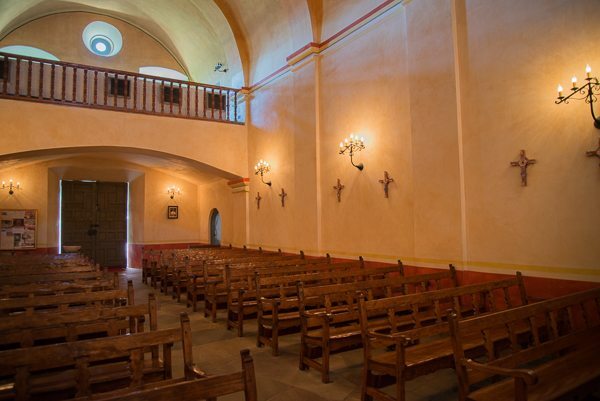 The inside of the mission chapel remains a place of worship. In March, we were visited by our good friends, Gary and Jan Dugan. For those of you who follow this blog, you may remember that Jan and Connie grew up on the same street together in Columbus, Ohio. They have remained close friends over the decades. We have been very fortunate to have been able to host them in several of our homes as we moved around while I was in the Navy. We have also been privileged to have spent time at the Dugans’ homes in Ohio over the years. During this visit, we introduced the Dugans to Central Texas and parts of the Hill Country. We spent six of the seven days they were here traveling around seeing the sites and shopping at local businesses. Oh, we also ate a lot. While the four of us all got pretty worn out, we still had a great time. What was probably most impressive as far as I was concerned, I retold zero stories. The Dugans’ visit coincided with the last of the Vantasy Tours we have taken to date. 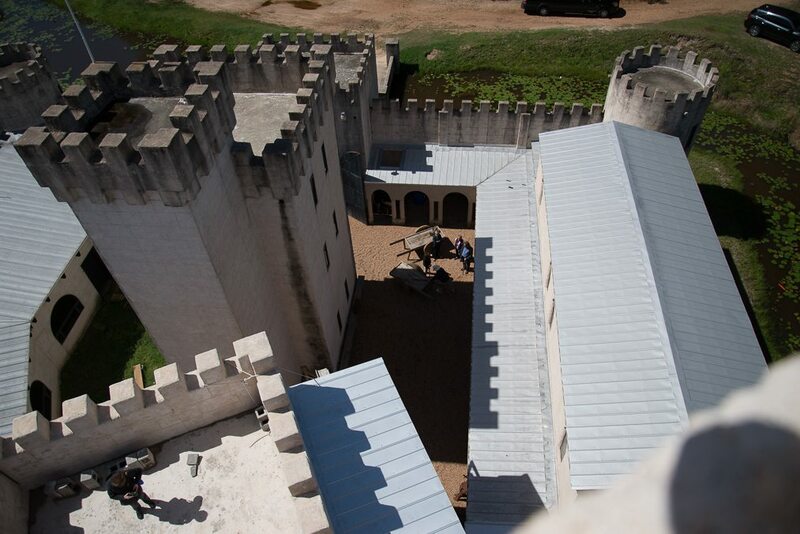 That tour was to Bellville, Texas to visit Newman’s Castle. Before I get to the photographs, I need to provide a little history. Newman’s Castle is the home of Mike Newman. Mike is also the owner of Newman’s Bakery in Bellville. Many years ago, Mike bought the property where he would eventually build his castle. As he told the story, he was trying to decide what sort of cabin to build on the land when the former owner of the property reminded him that whatever he was to build he should always remember “that a man’s home is his castle”. That simple statement would change the direction Mike would take. Now, like most bakers, Mike knew nothing about building a castle. He knew nothing about concrete, brick laying or most everything else that is required to construct a building of any size. He did, however, know people who did possess these traits. Over what must seem like an eternity to Mike he has not only built a quite livable castle, but he continues to this day to add to it. In his words, it remains a work in progress some ten years out. Visits to the castle are by appointment only. Being a professional baker, Mike’s paying job gets him up and out in the wee hours of the morning. By what most normal people would think is early morning, Mike is already done at the bakery and therefore, has several hours of daylight to work on the castle. By opening the castle to tours occasionally he gets the opportunity to “play” for a few hours rather than build. 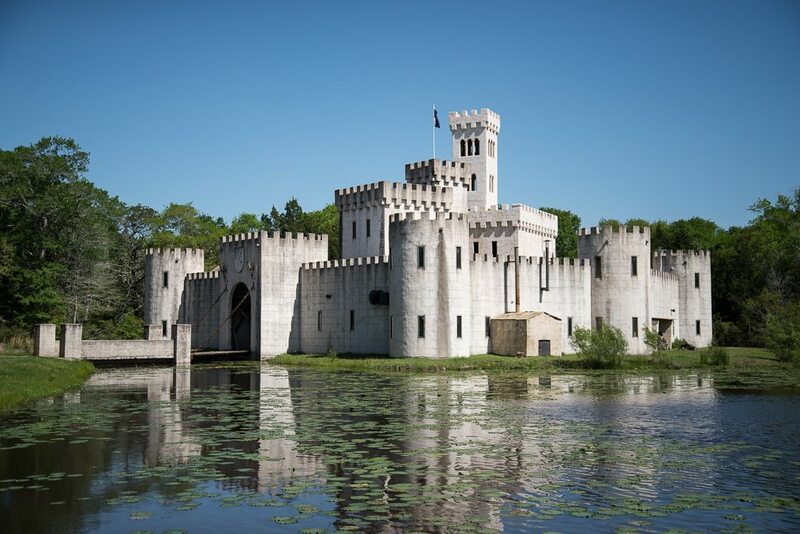 While Mike has undoubtedly touched every bit of the raw materials that have gone into his castle, he has had the assistance of qualified tradesmen along the way. He has learned from these folks and now has a much more refined knowledge of the construction processes. Enjoy the photographs. Newman’s Castle. As I am certain is the case with all good castles Mike’s has a moat that encircles the entire structure. As you can see there is even a drawbridge that provides excellent security to the property. The drawbridge is a working bridge. It is human powered by a squirrel cage assembly. 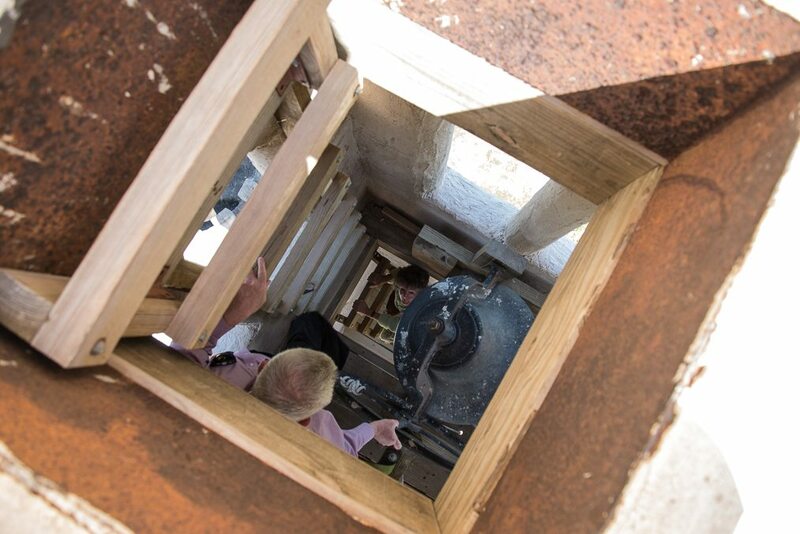 The bridge operator (me during our visit) climbs into the wheel and climbs up the interior circumference causing it to rotate. Attached to the wheel is a chain pulley system which pulls the chains attached to the far end of the bridge. I have no idea how many revolutions I made with the big wheel, but after several minutes, I had raised the bridge only a few feet. I could certainly tell that I was working as I was turning the wheel. I think the perfect drawbridge operator would be someone of substantial weight while also very fit. I also learned that even though the mechanisms involved are not real smooth in their operation, if the operator maintains a steady pace the whole thing goes more smoothly. Bringing the bridge back down is much easier and very much more dangerous. With the weight of the bridge working with the operator, there is a tendency to move much faster on the way down. The obvious downside to this is that you can get the wheel going so fast that it can get away with you and spin you up to the top. I was warned that this could happen and advised to walk slowly and steadily. All good castles come with a well-equipped dungeon. Newman’s Castle is no exception. 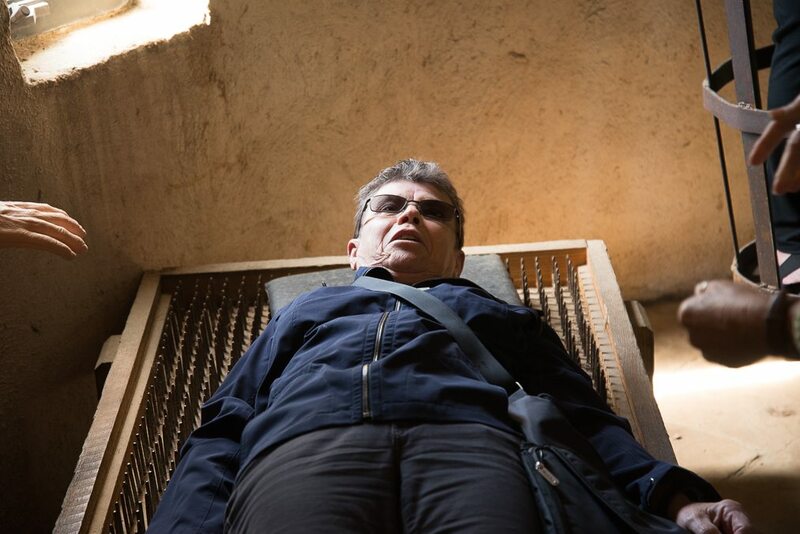 This is Georgia, the owner-operator of Vantasy Tours lying on a bed of nails. Just to the right in this image, you can see the edge of a human cage. Well out of the image was a set of stocks. On the left, you can see a human hand. The former owner of that hand must have committed some high crime, as that person had been chained by the wrists for a very long time, as the hands were all that remained. I don’t think Georgia saw the hand when she lied on the bed of nails. While trying to get up she grabbed it and was surprised when it slipped out of the wrist restraint. Mike is not just the owner-builder of his castle. He is also the chief roleplayer. Before our tour started we were all knighted and then invited to participate as much or as little as we wanted to as he led us through the edifice. Most did a great job of improvisation as invited. Obviously, the hands are not real. 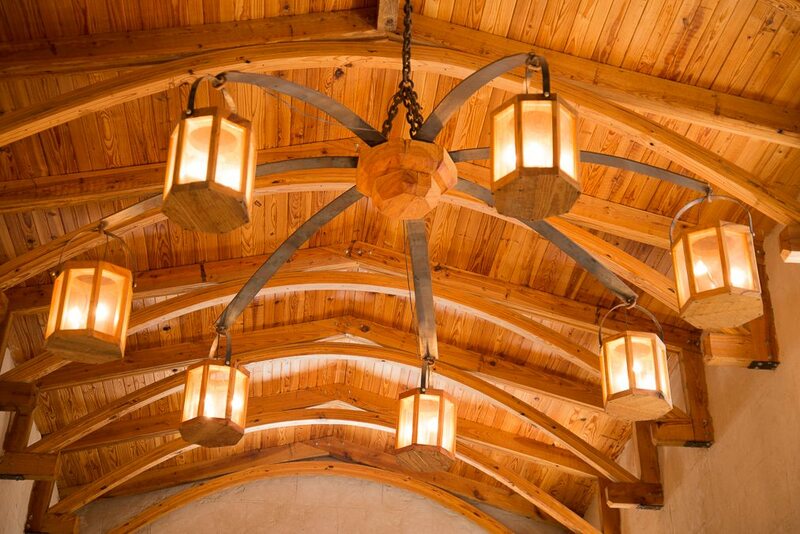 Here is a look at one of the many hand-made chandeliers that adorn the interior of the castle. You can also see the quality of the craftsmanship that has gone into the ceiling in this picture. I climbed all the way to the top of the bell tower just because I could. As you can see, there are no modern safety features to this ladder system. This is but one of the views from the top of the bell tower. Wow, I think this may be one of the hardest to get published blog articles I have written. The reasons are many. As you have read, we have been pretty busy. I have added to my personal workload by getting into Adobe Lightroom as my primary workflow tool sorting, grading, editing and processing my images for the various formats my different websites require. I thought that in moving to a product such as Lightroom my life would get easier. However, I now find that what used to be throw away images can now not only be salvaged but made to look pretty darned good while not violating my philosophy of not over tampering with the files. So, I am now spending much more time in post production and cannot say that I am completely pleased to be doing so. I shall eventually strike a balance, I hope. As I complete this article and Winter 2016 comes to an end, Connie and I find ourselves within a month of leaving for Yellowstone National Park and our sixth season as volunteer campground hosts. This season will start a bit earlier for us as we have volunteered to assist at Mammoth Campground for most of the month of May covering for a late arriving couple. That, of course, means many more opportunities to view wildlife at the beginning of life and to watch the meadows come to life with new grass and flowers. We are excited and very nearly ready to get underway. So stay tuned. 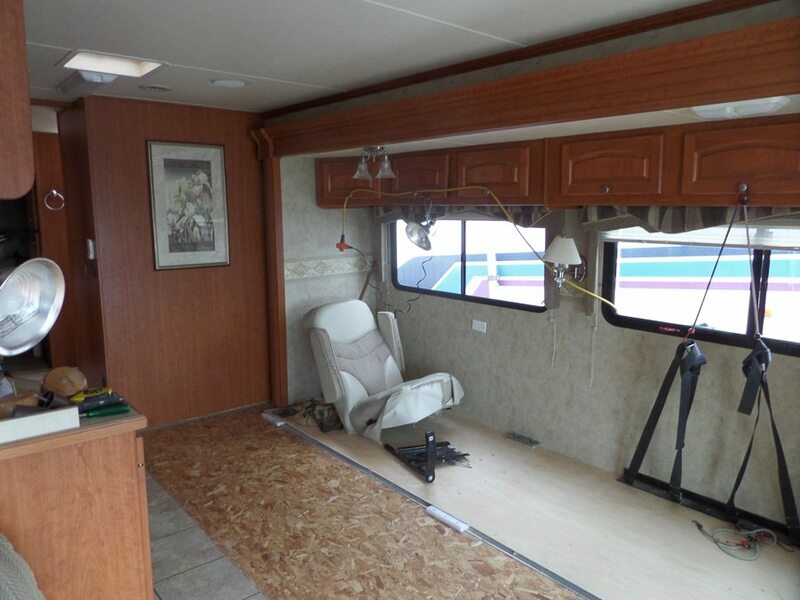 Great job in refinishing the interior of your Motor home! I enjoyed the captions on your pictures…I guess Connie was the Production Officer based on your comments about being threatened ;-)….